Ahead of the vote on June 23rd, our Political Correspondent Daniel Hewitt tours the region looking at what the UK's membership of the EU means for the North West. Frank Field MP has said that Labour "certainly" need a new leader who is a "likely Prime Minister". He said that Jeremy Corbyn has been "brilliant" at representing people who have "lost out under globalisation", but that he hasn't connected with most of the electorate. Mr Field added that he will be going to the meeting on Tuesday which could see Labour MPs taking part in a secret ballot over their leader. Shadow home secretary Andy Burnham has said he will not be taking part in a "coup" against Labour leader Jeremy Corbyn. "At an uncertain time like this for our country, I cannot see how it makes sense for the Opposition to plunge itself into a civil war," he said. Ann Coffey has added to the growing list of Labour MPs who have said that Jeremy Corbyn must go in the wake of the EU referendum, saying the public have "no confidence" in him. She also criticised his campaigning over the referendum, saying that it was "lacklustre, it was unenthusiastic" and that he came across as not caring about the result. Ann Coffey has seconded a vote of no confidence in Mr Corbyn that Labour MPMargaret Hodge proposed. Labour MP Lucy Powell has resigned as shadow education secretary, saying that Jeremy Corbyn's position as leader of the party is "untenable". In a letter to the Labour Party leader, she said: "It is increasingly clear that your position is untenable and that you are unable to command the support of the Shadow Cabinet, the Parliamentary Labour Party and, most importantly, the country. Given the big challenges faced by our country and our Party over the coming months, and the possibility of an imminent general election, I do not have the confidence that you can bring the Party together, lead us to a General Election and be an effective Opposition. Special Report: How will Brexit affect house prices across the region? We know that the Brexit vote has some caused instability in the UK and global economy. But what could it all mean for the North West property market? Before the referendum, one of the scary figures issued by the Treasury was that house prices in our region would fall 18 per cent in the next two years. 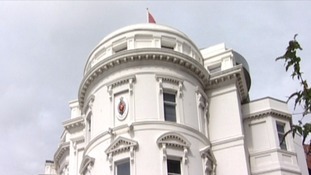 The Chief Minister of the Isle of Man, Allan Bell, is fighting to retain their EU links despite the Brexit decision. 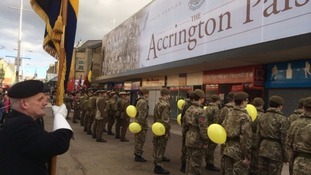 A series of events are planned across the region to celebrate Armed Forces Day. The annual day is a chance for people to show their support for service personnel, past and present and young cadets. 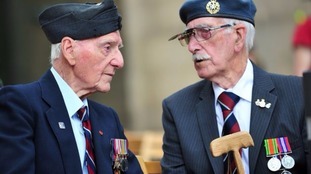 In Birkenhead a 1940s themed day is planned with events in Hamilton Square involving veterans, charities and businesses. Among events in Lancashire, the bandstand in Oakhill Park in Accrington will host the first ever 'Pals Prom' today. Activities start at the park from 12 noon, and will include performances by the East Lancashire Concert Band at 7pm. In Manchester a military veterans' parade is planned from St Peter's Square from 11am. Several military vehicles and a Jet Provost cockpit will be on display. Servicemen and women will also travel free on Greater Manchester's Metrolink on Armed Forces Day and forever after. Metrolink is providing free travel to any service personnel or reservist if they present their military pass. It was a convincing victory for the Leave campaign in the North West. A vote by 54 to 46 percent to quit the EU, a bigger majority than nationally. What do young voters make of Brexit? During the campaign it was often said the votes of young people would be crucial, and of course it is future generations that will have to live with the outcome. But turnout among 18 to 24 year olds was lower than other age groups.